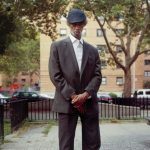 Gil’s death on May 27, 2011 shook me to my core. Although he had been sick off and on. I did not know how sick and had not even entertained the notion that he would die any time soon. It still feels unreal, not being able to pick up the phone and call him and talk about the playoffs or what was going on in our lives. Or answer his invitations for me to join him at a club date to sell his books and CDs while he signed autographs and interacted with fans backstage. Or hear him make a joke that would fly over most everyone else’s heads. I don’t think I’ve ever really grieved properly, but at the same time I am unable to wallow in sorrow, mostly because I know he is still with me. And neither of us has that in his character. While I would prefer to be able to stand beside him, to see him with my eyes, to hear him with my ears, to watch his jokes fly over people’s heads, I experience his presence in many spiritual ways. I know he is guiding me as I carry on the business he worked so hard to leave as his legacy. As he knew it would, the prose, poetry and music Gil produced in his lifetime still command respect and attention. People want to use his artistry in their creative works, and I am proud to run his business, to do everything I can to protect and promote his intellectual property, to build his brand and continue to introduce his genius to future generations. Fortunately, many of the people who value Gil’s words and music and want to pay tribute to him or officially license the material find me. Unfortunately, others do not. Frequently I run across individuals or businesses that are misappropriating or misrepresenting Gil’s image, life or intellectual property. Sometimes their behavior is illegal; sometimes it’s merely unethical or unkind. Gil fought against such actions for decades, and too often he fought alone. I am carrying on for him, but I am not alone. First, he is with me. Second, many of you – family, friends, associates, and strangers alike — also genuinely want to see Gil’s work recognized and compensated properly; and you are helping me in ways too vast to mention. On this anniversary of his transition to the spirit world , I extend my gratitude to you on his behalf. Check in here from time to time for updates regarding placement of his music and other projects. 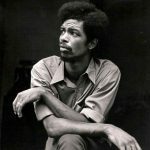 Thank you for loving Gil Scott-Heron. Then and now.